Please note folks: Today's promotion is for the student license of PDF Annotator only. It's the exact same as the regular PDF Annotator license, but at a special price for all those starving college kids (sorry faculty, this doesn't include you). Students save 33% off the regular student license, which is a whopping 71% off of the regular license price ($69.95)! For quite a while, Adobe PDF documents were a lot like goldfish - nice to look at, but you couldn't really do anything with them. For instance, if you wanted to make a comment or correction, you either had to email your suggestions outside of the document, or, worse yet, if you needed to sign a document in PDF form, you'd have to print it out, slap your John Hancock on it, then rescan the whole thing back into PDF. PDF Annotator brings a whole new level of utility to PDF documents, by allowing you to add your own comments, corrections, signatures, highlighting, even designs and drawings to PDF files! Your annotations are saved as part of the original PDF file, so you can email documents back and forth with coworkers and everyone will instantly see your notes when they open the PDF, without the need for any additional software. With PDF Annotator, you'll have access to a handy page manager that allows you to work with your documents as thumbnail images that you can rotate, reorder, and clone. 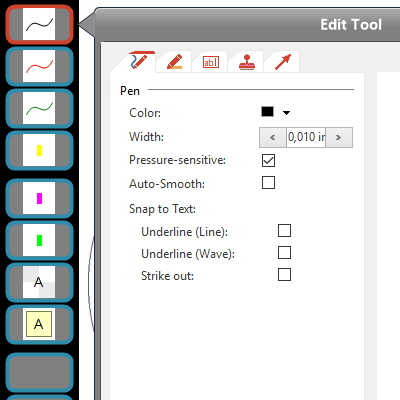 A toolbox function means that access to highlighters, colored text, underlines, and push-pins are just a click away. 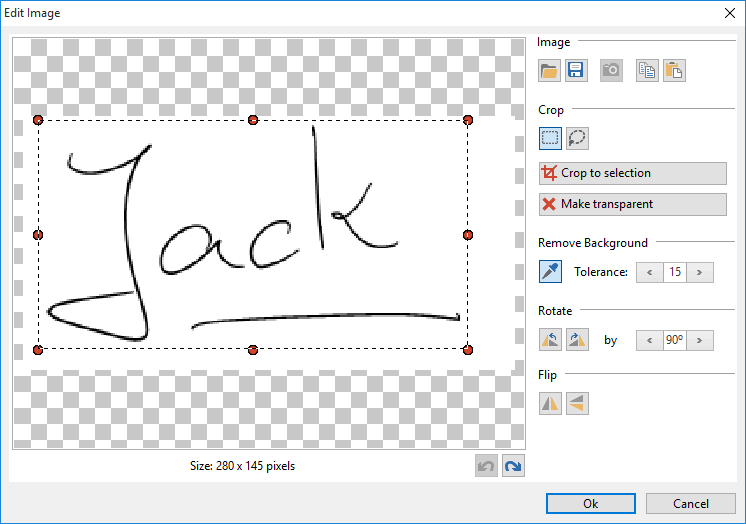 You can even use a tablet or your mouse to draw lines in freehand in the document, and PDF Annotator will automatically smooth those lines into crisp and clean horizontal and 90 degree vertical lines. And, of course, you can manage bookmarks and perform perform text searches! The latest and greatest version of PDF Annotator comes with a brand new Annotation Manager in the sidebar. The Annotation Manager makes it quick and easy to browse through all comments you've added to a document. What's more, you can filter, print, even export and import annotations right from the Annotation Manager. The current version also allows markups to be grouped or locked, preventing unintended edits or moves. Start new documents with stationary-like backgrounds, or temporarily display auxiliary lines for your drawings and handwriting. And now you can edit existing comment styles and colors at any time. 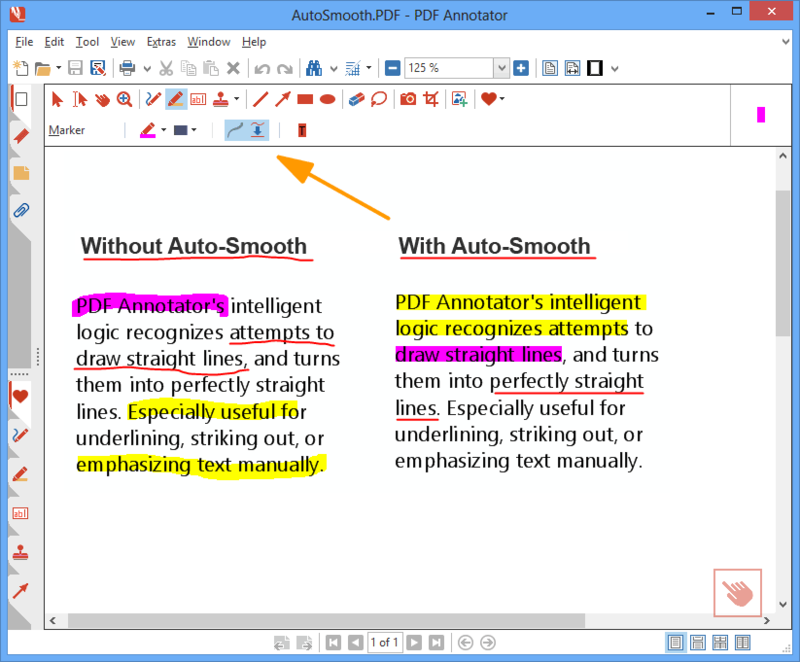 PDF Annotator is better than ever before! But best of all, PDF Annotator now gives you the option to create PDFs from any application's print menu or context menu. That's right folks, PDF Annotator isn't just a helper-utility anymore. It's a full-featured PDF creation and annotation powerhouse! Check out the PDF Annotator site for a complete overview of what's new in v6! New! Create PDF documents from any 3rd party application with the included 'Print to PDF Annotator' PDF printer. 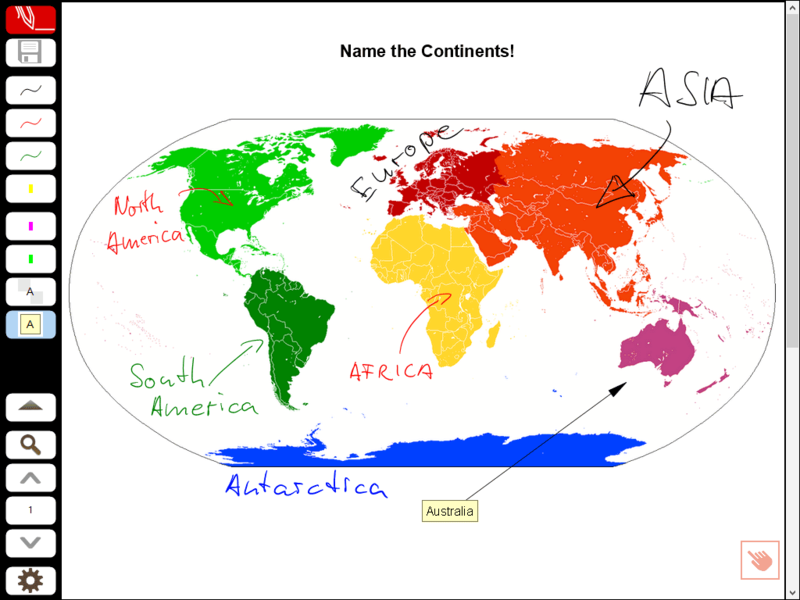 Add annotations - comments, corrections, signatures, notes, highlighting, even designs and drawings - to any PDF file. Save annotations in the original file. Share them with coworkers, email them to partners - no special software is needed to see the annotations. Use with any PC input method. Keyboard your comments, paste in images (like a scanned signature or any other graphic), use a stylus or drawing tablet if you have them. Remove all comments, changes and annotations with just one click. Restore your files to their original state at any time. Put comments on top of text, in the margins, even on blank pages that you insert to get more space for your comments. 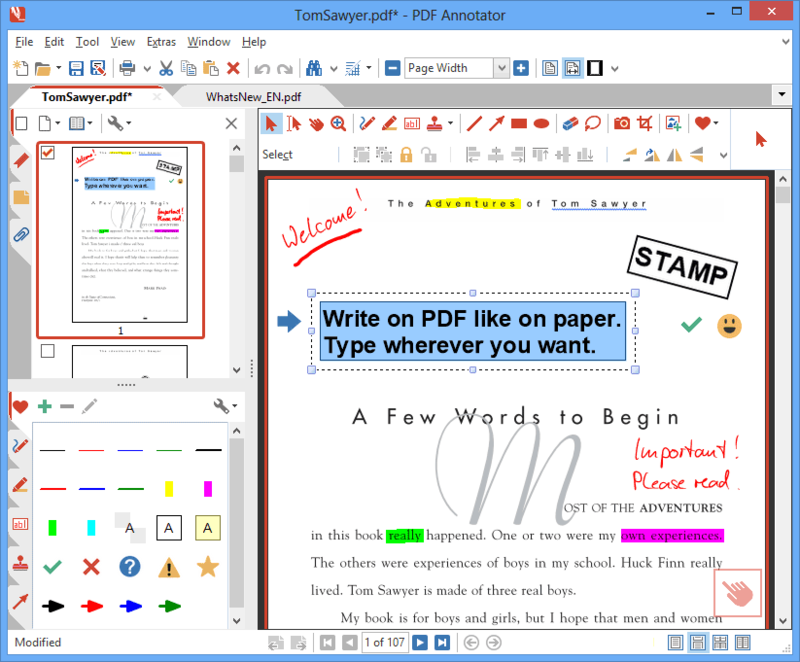 After you purchase PDF Annotator 6 Student License it may be used indefinitely. PDF Annotator 6 Student License is licensed per user, so if more people are going to use PDF Annotator 6 Student License you will need to purchase additional copies. Upgrades to future versions of the software will be free for minor versions only. For versions after that, upgrades will require additional payment, which will be discounted by 66%. Petr I use this program and it does things other PDF Editors do not. But, I still have to have a copy of NitroPDF along with this program. If PDF Annotator could enable me to edit existing text in a document, that would eliminate the need for Nitro. I am looking to buy another copy of PDF Annotator for another PC, so will wait for the BitsDuJour deal. Hoping you guys can add some of NitroPDF's editing features to Annotator? Brian Westerman Can I use this to extend my current license? I have two yes left at School, but less than one year left on my license. Moomin What are the advantages of PDF Annotator in comparison to Foxit Reader's Comment functionality or MS Word 2013's new PDF-editor? I only see the handwriting option could be useful on Tablet-Touch-PCs, but I don't own such a device. So especially for PC users, who still work with ordinary keyboard and mouse: what makes PDF Annotator unique that it is a must-have for writing comments on PDFs? Brian Westerman I think the new PDF editor in MS word 2013 (I have the PRO version that my dad sent me to use here at school) is okay for some things. It really doesn't give you the one for one document that you had in PDF, it adjusts the data to fit it's own requirements, and while it makes the entire document editable, it really only copies what it sees and makes it a word document. It's absolutely no good for documents that aren't mostly text or something that you have a scanned image of because it can't really tell what is real and what is not (it even tries to interpret creases). It's not really what this product was meant to be used for, and MS Word's PDF editor is great for what it's intended for as well, but these products don,t really compete with each other, they compliment each other though, because you can clean up the document with PDF annotator and then give it to Word if you want. I've never used foxit reader so I can't comment on that. But, I have been using PDF annotator for over a year and a half and it's fantastic for my use. We get all of our assignments in PDF format, and I can mark them up any way I want. I have a scanner that I use to scan everything I get, receipts, assignments, etc., and I can update those documents at any time. It comes in handy to be able to update the documents after you have already thrown away the originals, plus it allows me to keep all of my records on a very small flash drive. I even used it to mark up all of the scanned documents that I needed to file a small claims case against a local merchant, and the Small Claims Court judge complimented me on the professional look of the case I presented. I was able to place "Exhibit numbers" on every page, even the two sided documents, it also allows me to highlight things I wanted to call attention to in a way that didn't alter the base document contents themselves. I have only scratched the surface of the things that this software can do and I am very pleased with it so far. That's why I wanted to know if I could just update my current license with this offer, but no one has answered me yet. Oliver Grahl Hi folks, thank you for your comments and questions so far! Moomin: Check out our trial to see where PDF Annotator could help you. If handwritten comments would come handy for you, consider getting an external pen tablet, like a Bamboo. Not a tablet pc, but still helpful for handwritten markup, signing or sketches. And less expensive. Mary Wilson What is the main differentce between Regular version of PDF 4.0 and student version. Currently own a 4.0 version (Not sure which one) but but the warrantee expired some time ago but it still works great when I use it for my school work (Not very often). Why should I want to extend my warrantee especially as there does not look like you have had an major changes in over 2 years. All I have been seeing is minor fixes. Cary Adams This is a professionally-developed tool and Grahl excels at customer support. I bought this during their recent promotion here, and it superbly complements Nitro Pro which I use for advanced document editing. I'd like to see more clip art options, but that is a small quibble. Nico Westerdale Great News! GRAHL software design has agreed to extend this deal for another day - Enjoy! DrTeeth Offer would be clearer is title was "PDF Annotator 4, Student License", "PDF Annotator 4 (Student License) or "PDF Annotator, 4 Student License". The first two have the same meaning from the third, and on initial reading, thought the third meaning was the intended one. Oliver Grahl You're probably right, DrT, so, to clarify, the 4 in the title refers to version 4, not quantity 4. DrTeeth Purchased. Nice surprise to see the tax included in the price - the extra can and has been a dealbreaker here. VLM What documentation of studenthood do you require? I'd like to buy this for a student I know, but I don't have his IDs or such. ? ?